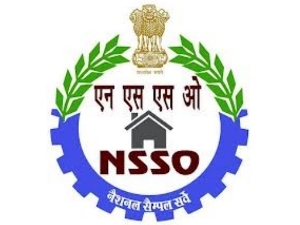 National Sample Survey Office (NSSO) survey has pegged literacy rate in the rural areas at 71 per cent and 86 per cent in the urban areas in year 2014. It was revealed in NSSO’s 71st Round of survey on Social Consumption: Education which was conducted from January to June 2014. Literacy among the age group of 7 year and above is found Male literacy rate- 83 percent, female literacy rate- 67 per cent. Adult literacy (age 15 years and above) rate is around 71 per cent. In rural areas- 64 per cent, urban areas- 84 per cent. Education level of graduation and aboveis 4.5 per cent of males and 2.2 per cent of females in rural areas. While, in urban areas it was 17 per cent of males and 13 per cent of females. Primary level students are 72 per cent in rural areas and 31 per cent in urban areas. Upper primary level are 76 per in rural areas and38 per cent in urban areas. Secondary and Higher secondary level are 64 per cent in rural areas and 38 per cent in urban areas.